Jenson Button and Sergio Perez currently hold two extremely sought-after seats on the Formula One grid. At least, they’re sought-after seats for the future. This season is another story, as McLaren have struggled so much that neither driver has stood on the podium yet in 2013. Both drivers have contracts with McLaren until the end of the season, with options to extend, but those options have yet to be taken up by McLaren, sparking rumours of a possible change in driver line-up at the Woking-based team. At this point of the season, there is no reason for McLaren to delay confirmation that they are keeping Button and Perez in their cars for next season. Unless, that is, they are considering alternatives. Reasons for signing (or replacing) racing drivers fall into two broad categories: sporting and commercial. From a sporting perspective, there really isn’t much of a decision to make. 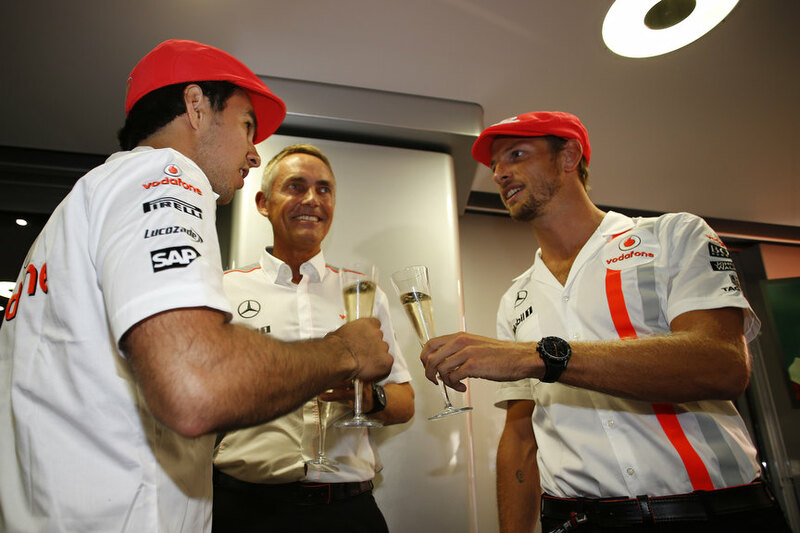 Button has only improved since winning the 2009 World Championship, and Perez is still in his first season at McLaren after being identified as a rising star in 2012 and snapped up to replace the departing Lewis Hamilton at the start of this year. Both drivers have made it clear that they want to stick around at McLaren. Any delays can only be coming from McLaren, and only for reasons other than on-track performance. When it comes to commercial interests, it is not unusual for a commercial partner of a racing team to put pressure on the team management to sign a driver who is close to their interests. It is also not unusual for up-and-coming racing drivers to join forces with wealthy sponsors in order to jointly further their aims of securing a deal with the highest profile team possible. Examples include Pastor Maldonado, who joined Williams in 2011 and brought sponsorship from Venezuelan oil giant PDVSA. There are at least two major changes taking place at McLaren in the next two seasons that have massive commercial implications. From 2014, the team will have a new title sponsor, as Vodafone have decided not to renew their McLaren deal at the end of this year. From 2015 onwards, McLaren will switch to Honda power, when the Japanese manufacturer returns to Formula One as an engine supplier for the first time since 2008. McLaren’s new title sponsor, whoever it may be, could well be linked to a driver or a few drivers. Honda could also be interested in promoting drivers linked to their organisation. While McLaren have a strong history of choosing drivers with talent, that does not preclude choosing talented drivers with commercial benefits. “What you really want is talent and high performance. “We don’t comment on rumour mill or drivers until such time as we’re ready to make an announcement. I hope that it won’t be too much further now before we’re able to clarify what’s going on. If McLaren are being as coy with Button and Perez as they are with the media, then there could be some cause for concern for the drivers. However, it could also simply be that decisions are already made and the team could just be waiting for the opportune moment for a public announcement, such as a race weekend or other event that is important to the team’s 2014 sponsors. With Honda involved, the announcement could well be delayed until the Japanese Grand Prix on 13 October. I would be really surprised if there was a change at McLaren for next season. Perez is only in his first year there and brings money with them, and Button is probably the best experienced driver they could have next season. The only decent seat available is the one at Lotus, so like you said they could be waiting for the Japanese GP to make it official.